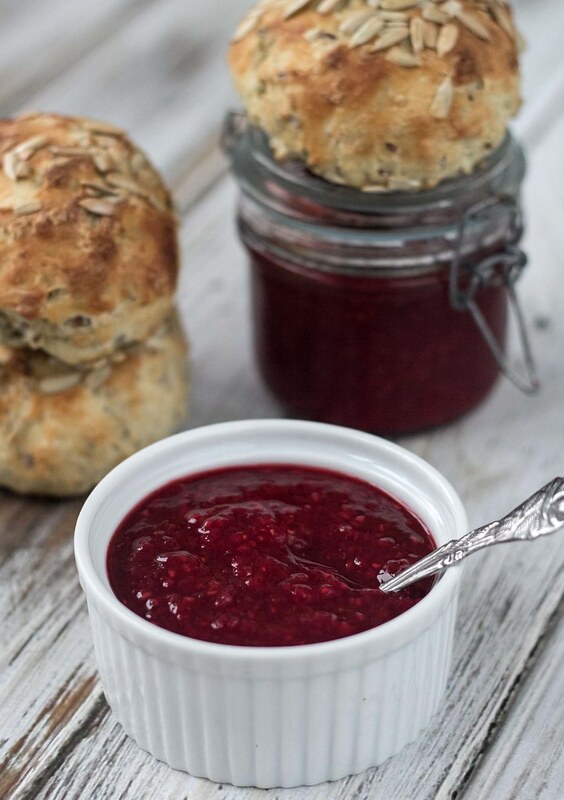 Strawberry-Raspberry Jam - easy recipe, 4 ingredients! Homemade jam is just great! We love to make our own jam, it is just way more delicious compared to the processed products you can find at the super market. 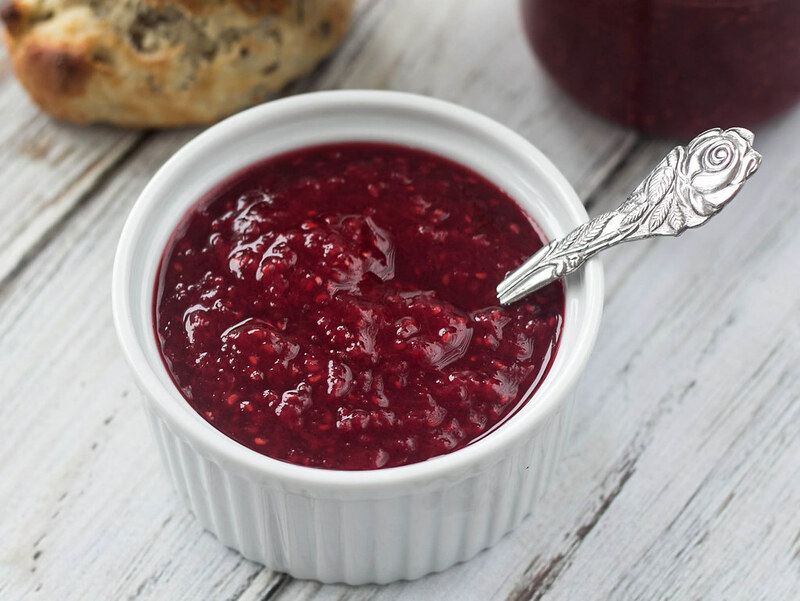 Processed jam is typically packed with sugar and additives that enhances flavor and preserve it. However, we do not believe all these additives are necessary. 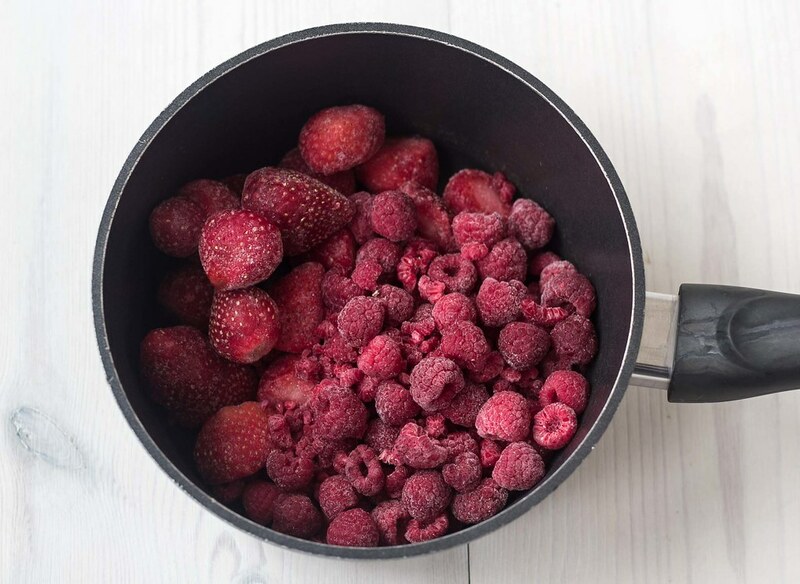 This recipe for homemade strawberry and raspberry jam only consist of four different ingredient; which is strawberry, raspberry, some sugar and the seeds from a vanilla bean. All very simple and easy-to-find ingredients. Making homemade jam is actually very easy and requires minimal of work. All the ingredients are simply just poured into a small sauce pan and boiled for about 30-40 minutes – and that is it! We often make the jam Friday evening, then we have fresh and super delicious jam for our weekend breakfast. 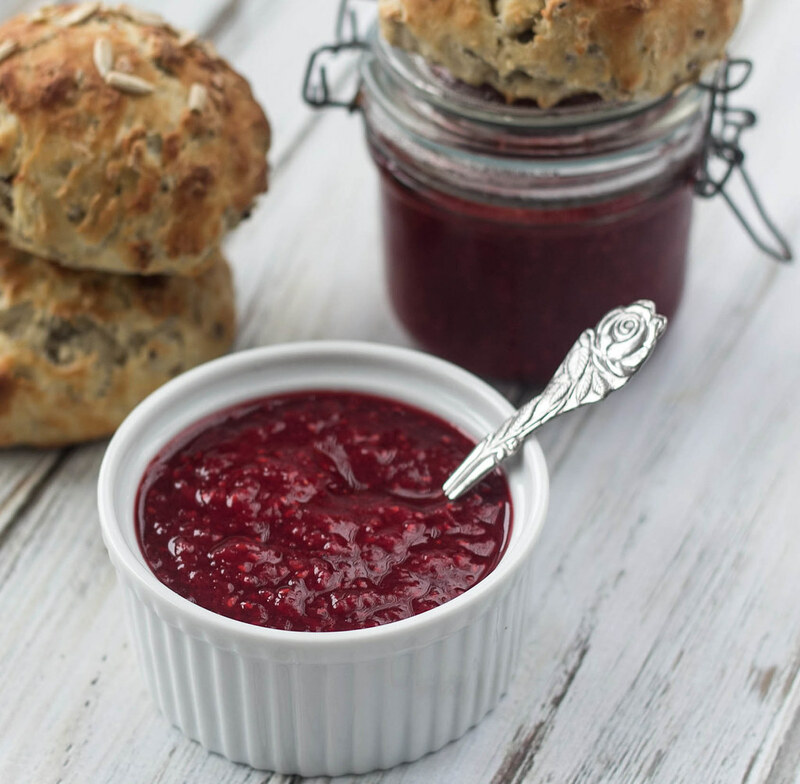 You can find some of our other recipes for jam on our blog. We can also highly recommend this healthy and homemade chocolate spread. 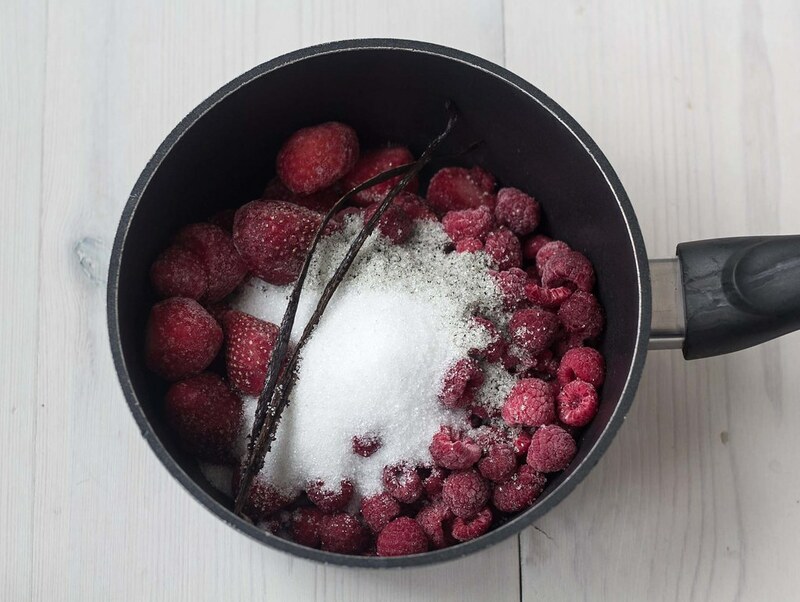 Step 1: Pour the strawberries, raspberries, sugar and the seeds from a vanilla bean into a sauce pan. You can also add the empty vanilla bean it still has a lot of flavor. Turn on the heat and let it simmer/boil for about 30-40 minutes. Step 2: When the berries are well-cooked and the jam has the preferred consistency; taste the jam and add more sugar if needed. Step 3: Clean some small glass jars using boiling water. Pour the jam into the jars and seal them right way. This way they will last longer. Keep them refrigerated. This jam is phenomenal. Not too sugary and plenty of fruit ! The only problem is that I eat it too fast !